The decider of the Trans-Tasman Trophy was played at the Lloyd Elsmore Hockey Stadium in Auckland, New Zealand recently. 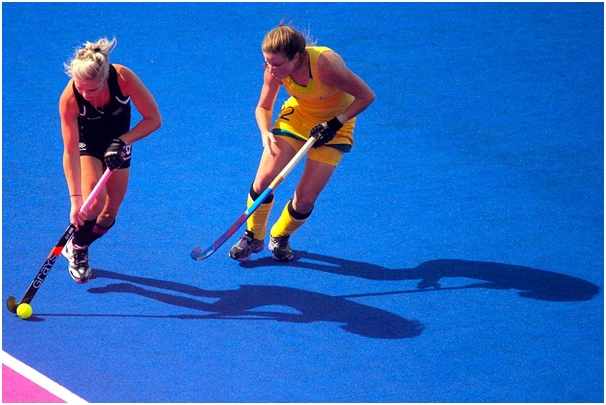 Despite suffering a defeat on the final day against the Black Sticks, Australia triumphed and took home the trophy. When the Aussies played the Black Sticks, Stephen Jenness scored early on to give the latter team a head start. The Kookaburras landed a penalty corner on quarter time; however, the cross from Jeremy Hayward was pushed out by goalkeeper Richard Joyce to stop them evening up the score. The Black Sticks were awarded a penalty corner in the second part of the game, but Kookaburras goalkeeper Tristan Clemons managed to keep the ball out of the net. Australia fought hard, but they did not manage to score any conversions. Scott Boyde made a few valiant efforts, but it was not to be. After half time, the Kookaburras took control but still did not manage any conversions. Despite the Black Sticks having fewer opportunities in the second half, they managed to maintain their lead. In the final quarter, Sam Lane scored again but Australia fought back immediately with a much-awaited goal from Jeremy Hayward. In the closing minutes, the Kookaburras brought on an extra field player and took off goalkeeper Clemons to give themselves an extra boost in attack; however, this was not quite enough and New Zealand managed to beat the Aussies in their own back yard for the first time in nearly half a century. Despite this sour defeat, the Aussies still managed to take home the coveted Trans-Tasman Trophy at the end of the competition. Despite some amazing performances in this competition and the sport in general, no hockey player has ever won the BBC Sports Personality of the Year award. The excellent tactics displayed by both teams in the competition can be replicated across hockey clubs around the world thanks to useful field hockey drills from resources such as the Sportplan field hockey drill video collection. Such drills can help players to improve their tactics by watching other players’ positioning, passing and shooting. All skills can be improved by watching drill videos, from dribbling to shooting and dead ball situations. After watching drills, players can put what they have learned into practice.